3' Printer cable used to attach parallel printers. Small Size is Ideal for Laptop Applications. to IBM compatible computers. Molded Ends with 25 Conductors. 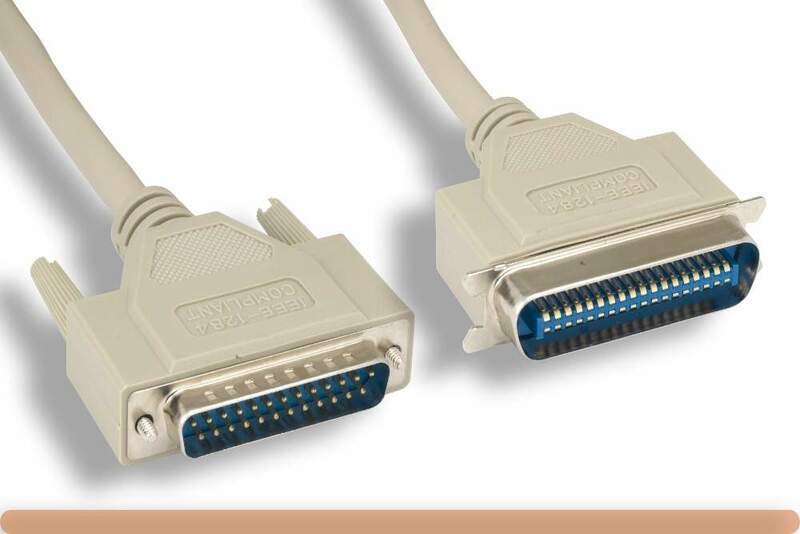 Has Been Rated by IEEE as a 1284 Compatible cable.